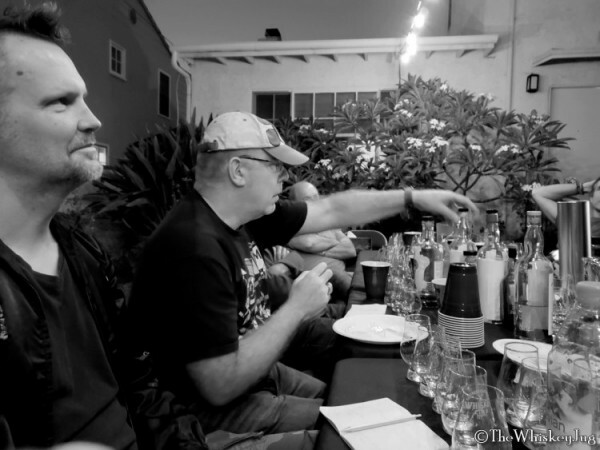 On a night that dovetailed from summer into fall, the Malt Nuts gathered once more to dig into a club favorite: Highland Park. 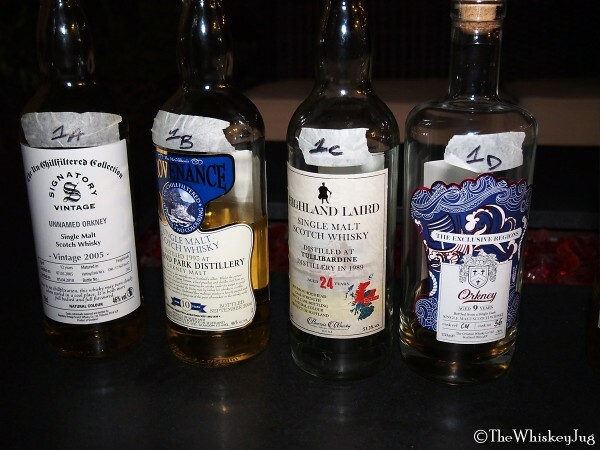 Expressions of ex-Bourbon Highland Park in particular, spurred on by how well the Highland Park The Light showed in one of our previous tastings. Known for their lightly peated sherry-forward style of whisky we decided to dive down the path a bit less well traveled to see what other light we could find. 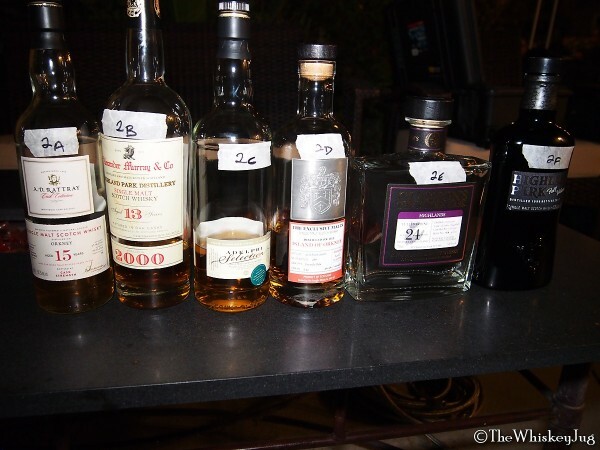 As usual Barry blinded the bottle and then grouped them into flights. A couple curveballs were thrown in and you might not be surprised to know that no one was surprised how they compared once revealed. But we’ll get into that more when we get there. Finish: Long -> Fruit, caramel and malt. Overall: B (83-86) A solid fruity HP. Nose: Mineral, fruit, malt and graham with a touch of smoke. Palate: Fruit gems, mineral water, malt, Smarties, vanilla and 7-UP. Finish: Long -> Fruit, malt and vanilla. Overall: B- (80-82) The fruity minerality reminds me of Pisco; all around a sweet malt. Nose: Waxy vanilla, Necco wafers, funky fruit, sponge cake and oil. Palate: Waxy, vanilla, fruit, old leather, malt, floral and stale smoke. Finish: Med-low -> Smoke, malt and floral. Overall: C (73-76) Don’t love the floral aspect and it keeps getting more prevalent as it opens up and becomes more soapy than floral. Nose: Caramel, brown sugar, char, spice, vanilla, malt and dark fruit. Palate: Butterscotch, char, spice, vanilla, cocoa, caramel and dark fruit. Finish: Medium -> Buttercream, vanilla frosting, cocoa and bread. Overall: B- (80-82) Decent, not great, but decent. Could sip on it anytime, but not in a massive rush to grab it. Picks up notes of Tootsie Rolls as it opens… also not sure it’s 100% ex-Bourbon. Nose: Tropical fruit, spice, chalk, orange slices, candy and malt. Palate: Tropical fruit, spice, chalk, orange slices, candy and some cocoa and malt. Finish: Long -> Malt, white grapes and spice. Overall: B+ (87-89) Really nice. Elegant and delivers a big punch of flavor. A tad light on the aroma. Nose: Malt, waxy fruit, Sugar Daddy, lotion, money and smoke. 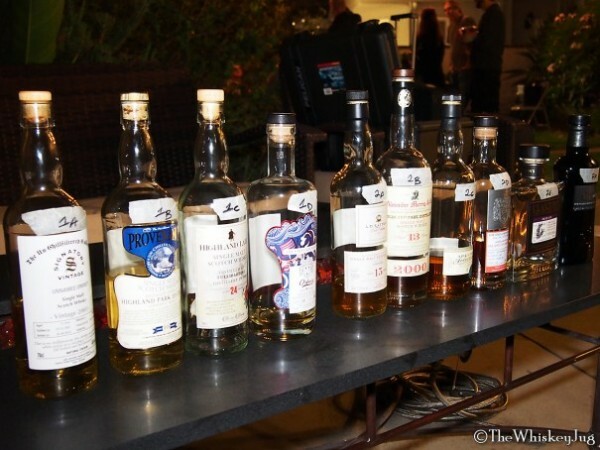 Palate: Malt, Smarties, fruit gems, honey, smoke and wax. Finish: Long -> Malt, fruit, honey. Overall: B+ (87-89) Good, really liking what’s happening in here. A Tasty whiskey for sure – aggressive and different from the rest so far. Nose: Honey, graham, dark sweets, orchard and tropical fruit, cocoa, char and smoke. Palate: Honey, malt, graham, cinnamon, oak, dark fruit, cocoa and wax. Finish: Long -> Malt, fruit, cinnamon, cocoa and smoke. Overall: B (83-86) So weird. I’m getting some notes I usually associate with sherry in here. I can’t believe this is just ex-bourbon, it’s so dark in profile. Nose: Wax, smoke, oak, oatcake, cherry, brown sugar and char. Palate: Wax, oak, fruit, oat cake, vanilla and butterscotch. Finish: Long -> Fruit, char, vanilla and some soap. Palate: Malt, grain, char, oatcake, plastic and spice. Finish: Medium -> Spice, malt, plastic. Overall: C (73-76) After being open a while it turned into a sweet chalky candy profile that had a raw malt undertone to it… not my jam. Nose: Fruit candy, vanilla, malt, spice, apricot, char and white grapes. Palate: Spice, candy, vanilla, dried fruit, grapes, oil and olde candy. Finish: Long -> Fruit, candy, vanilla. Overall: B (83-86) Decent. Not amazing, but decent. 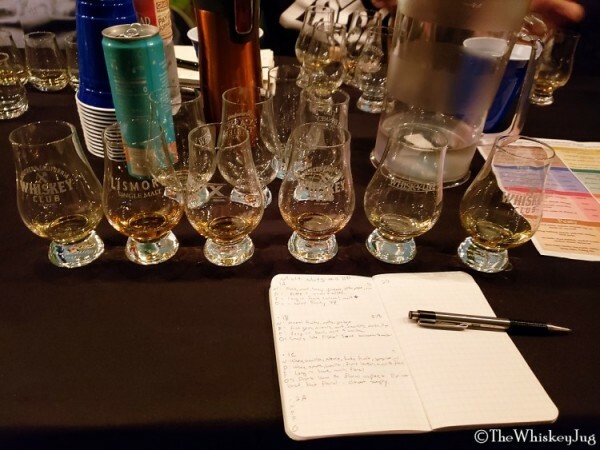 So what did we learn from this Malt Nuts ex-Bourbon Highland Park tasting? Well, we learned that ex-Bourbon Highland Park should not be overlooked. It’s often quite cheaper than a similar aged and proofed sherry cask so why spend so much more if you don’t need to? It’s good stuff. We also learned that Tullibardine, even after getting a chance to open, still isn’t very good – especially when compared to Highland Park. 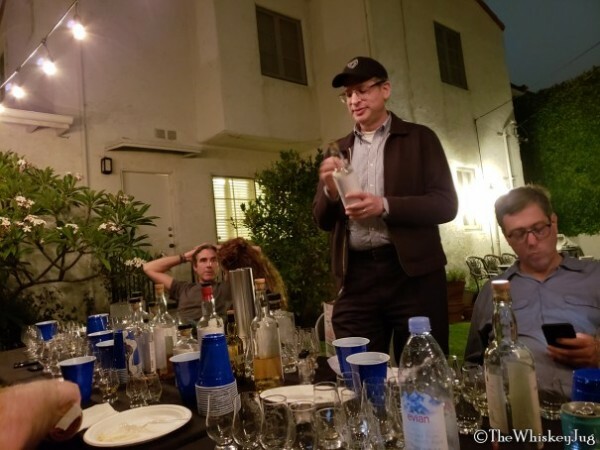 The post Malt Nuts: ex-Bourbon Highland Park appeared first on The Whiskey Jug.